World cultural festival HCMC – Gyeongju 2017 to celebrate the 25th founding anniversary of the diplomatic relations between Vietnam and South Korea was opened yesterday. The opening ceremony took place in Nguyen Hue Walking Street. Speaking at the event, Chairman of the city People’s Committee Nguyen Thanh Phong said that the festival HCMC - Gyeongju 2017 is an evidence for the city’s role and dynamics in the international integration. He added the festival contributed to exchanges and mutual understanding between the two countries, accordingly, promoting economic, commercial, tourist, and educational cooperation between Vietnam with South Korea particularly and Vietnam and other countries generally. Mr. Phong believed that the festival would deepen the strategic relationship between Vietnam- South Korea as well as enhance the friendly cooperation between HCMC and South Korea’s provinces and other countries to higher level. The festival lasting to December 23 is considered as the longest festival so far in the city. With the theme “Mutual Prosperity in Asia through cultural exchange”, there will be series activities will take place during 23-day festival at other venues such as Ho Chi Minh City Museum of Arts, Ben Thanh Theater, Hoa Binh Theater and Conservatory of Ho Chi Minh City. Additionally, many activities such as traditional martial arts Korean/Vietnamese, art exchange exhibition, Korean/Vietnamese film festival, culture street bazaar, K-Culture promotion pavilion will also be introduced to city réidents and international tourists. Cambodian Deputy Prime Minister Men Sam An; Korean Deputy Minister of Culture, Sports and Tourist Ha Jong Min ; governor of Gyeongsangbuk province of South Korea Kim Kwan Yong attended the ceremony. South Korean Prime Minister Kim Jung-Sook sent his message of congratulations to the festival. On the same day, city Chairman Nguyen Thanh Phong received a delegation led by Culture, Sport and Tourist Deputy Minister Na Jong Min, governor of Gyeongsangbuk province Kim Kwan Yong, governor of Gyeongju Choi Yang Sik. At the meeting, Mr. Phong said that being the country’s hub of culture and economy, HCMC always takes heed to promoting tourist which HCMC authorities are considered as a key sector in the city’s growth. 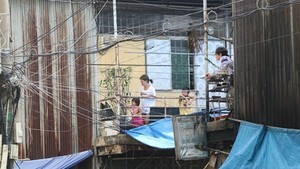 For years, the number of holiday-makers from South Korea has been ranked as the third arrivals to Vietnam. In 2016 it jumped to the second with nearly 1.6 million visitors to Vietnam and top arrival to HCMC with more than 423,000 visitors. By end of July, 2017, HCMC received around 240,000 Korean tourist, 20 percent up to the same period last year. Chairman Phong expected Deputy Minister Na Jong Min would pay attention to beef up cooperative activities especially in term of tourist. On his part, Deputy Minister Na Jong Min believed that the number of 10 million visitors between the two countries is the goal for the future. Gyeongju International Cultural Festival is a biennial event held by Gyeongsangbuk-do Province. The festival was first held in 1998 in South Korea. The first fest abroad was in 2006, and ever since the venue has alternated between a foreign country and South Korea. Until now, the festival has been held eight times, including twice abroad. Ho Chi Minh City will be the third venue abroad chosen for the festival thanks to the flourishing diplomatic relations between Vietnam and South Korea.